The beginning of a new season is always exciting, especially when that season is spring. With the anticipation of a change in weather and longer days, our daily routines change and we make plans for annual cleaning procedures. That’s right, we schedule time for spring cleaning. Many of you dread this time of year when we spend time cleaning our homes and offices, but you feel good when it’s done and you begin spring with a fresh, clutter-free house and office. But how about your car? When scheduling out your spring cleaning duties, don’t forget to make time to clean your car. After all, your car suffered a messy winter as well. If you remember, you spilled fries from Burger King between your center console and driver’s seat back in December and didn’t even make an effort to clean them up. Also, think about the amount of dirt and grime that has been tracked in your car this last winter. Your car definitely needs a good cleaning. 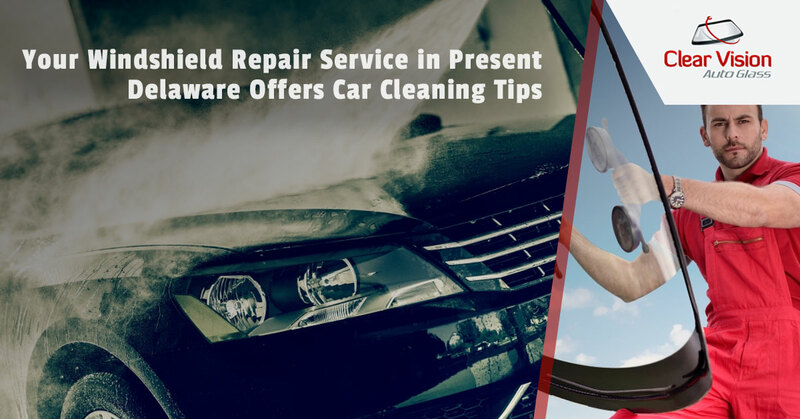 Clear Vision Auto Glass, your windshield repair service in Delaware, offer tips on spring cleaning your car. A pair of shoes that you haven’t worn in three years. A bag of clothes that no longer fit you. A bag of cat litter in case you get stuck in the snow. A jar of mayonnaise that fell out of the grocery bag and rolled into the corner under a bag of clothes. By cleaning out your truck, you will give yourself more room and make it easier to access your spare tire should that need arise. It also solves the mystery of that missing jar of mayonnaise. You will want to wash your console with great care as to not get water in any of the electrical connections. This is also a good time to scrape that old piece of gum out of the cup holder. Yes, we know it wasn’t you that put it there. Now it is time to clean out all of the compartments that are inside your car, like the glove box for example. In all likelihood, your glove box is stuffed with insurance and car registration cards that have expired years ago. There is also evidence of a half-eaten granola bar in there. After you vacuum all of the carpet and upholstery, including vacuuming up the fries you dropped, rent a carpet cleaner with an upholstery tool and scrub the carpet and upholstery clean. You might think your car windows are clean, but after a good washing, you will be surprised at how much better you can see. When cleaning your windows, check for cracks and other damage that might require repair. And if you do happen to find damage on your windshield, bring your car to Clear Vision Auto Glass right away.